(CNN) – New Jersey Gov. Chris Christie repeated his well-known opposition to legalizing marijuana in his state, and sharply criticized one that has done just that – Colorado. Christie was asked by a caller on his monthly "Ask the Governor" radio program on New Jersey 101.5 about revenue and other business benefits of decriminalizing pot. Christie responded with a flat out no for his state. "You say it's going to come down the road. You know it may come down the road when I’m gone. It's not going to come while I’m here," he said. At town halls, he frequently warns that expanded laws could lead to a "slippery slope" of legalized marijuana, like recently passed laws on recreational use in Colorado and Washington State. He has, however, said that he’s willing to think about legalizing medical marijuana in edible form for patients above the age of 18. Christie later circled back to the issue on the radio show and expanded on his previous answer, bringing up Colorado on his own. "For the people who are enamored with the idea with the income, the tax revenue from this, go to Colorado and see if you want to live there," the Republican said. "See if you want to live in a major city in Colorado where there's head shops popping up on every corner and people flying into your airport just to come and get high. To me, it's just not the quality of life we want to have here in the state of New Jersey and there's no tax revenue that's worth that." 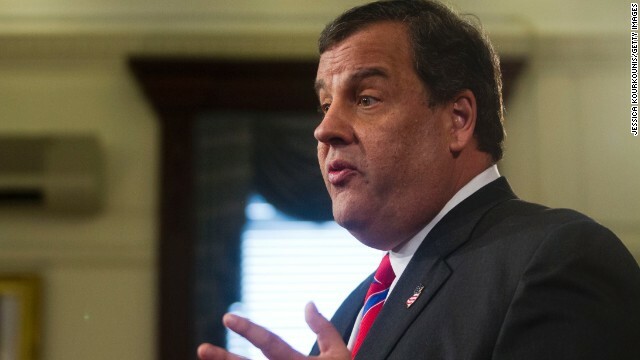 Although his administration is mired in a political scandal that has helped push down his poll numbers, Christie’s contemplating a presidential run in 2016. Colorado and its nine electoral votes went blue in the past two presidential elections for Barack Obama. Christie is chairman of the Republican Governor’s Association. Colorado, however, has a Democratic governor. your quality of life in new jersey isn't what the rest of the country want's either! Oh yes. Because Chris Christie is the authority on what constitutes a good quality of life. I would write more but I can't stop laughing. But sitting in rush hour traffic for 6 hours due to you having a hissy fit at the mayor is the quality of life we want? "To me, it's just not the quality of life we want to have here in the state of New Jersey..."
It's not within the authority of a governor to tell people what quality of life people are required to want. I live in Colorado, and its not bad. Of course this state has its own problems, but legalizing pot hasn't really created any problems here. Now it just means that people can go outside the club and have a joint if they want it. Still illegal to smoke weed and drive, just like drinking alcohol. I really don't see all this bad stuff that was supposed to happen to us. I don't smoke weed myself, and I won't, but why would I give a crap if others do? Maybe people don't want the Quality of life that New Jersey Gov. Chris Christie embodies . He's an old school guy , who thinks old school . New Jersey doesn't need more tourism money? They don't need more tax revenue? You can already buy pot in New Jersey, why not tax it? Doesn't this guy have enough problems of his own in his own NJ state? Let other governors do whatever they want to do. I've never heard of a CO governor close bridges or tunnels. We are setting a bad example for all the children in our country by legalizing pot anywhere, no matter what state. This has been going on for years and still happening, spending millions just trying keep the drugs off our streets and from crossing the borders into our country ect... The legalization of pot is a great revenue but it comes with a price by putting our children at risk who are under age. We also are jeopardizing the safety of people driving on the road, by having to deal with the people who are under the influence of it. It's not worth it, because there are other ways to create revenue that are no going to have adverse effects on peoples states or our children. --but it is a Law, Colorado made it a Law reducing drug cocktails lose the fight. Let's compare how much revenue Colorado brought in on 4/20/14 compared to New Jersey fat boy. Just shut your trap and try not to get indicted. If this weekends Waters show on Bill O'Reily is any indication of what legalizing pot does to society then this country is doomed. People are already getting high in airports and in residences above those would-be head shops, it's just not publicized because of its illegality. Ignorance of drug culture is no rational basis for public policy. It has been shown through countries like Portugal that decriminalizing drug use helps to lower rates of use, not increase them. Looks like he's just as clueless about decriminalization as he is about what his aides are doing in his own office. People of New Jersey as your Governor, I know what you need and as long as I am Governor I will never give you what you want. Governor I grew up in NJ and have lived in Colorado. Don't knock it. Cool vibe out there that has nothing to do with pot. NJ would be better off if it had the same energy. Now that you have secured those electoral votes, help us flip Arizona, Nevada, Wyoming, New Mexico, or Montana and the Democrats will walk into the Oval office in 2016. Has anyone actually smelt the air in NJ? Horrible! Legalize it so at least I can enjoy every breathe I take! If pot is legalized everywhere how on earth would the good prosecutors fill the jails with young black men?? How would they stop those same types from getting good jobs that only white meth heads get?